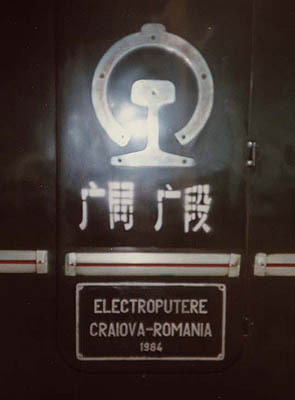 Another country to receive the products of Electroputere, Roumania was China, the ND2 being very similar to the home built 060 DA series locomotives, being produced for China between 1971 and 1990. 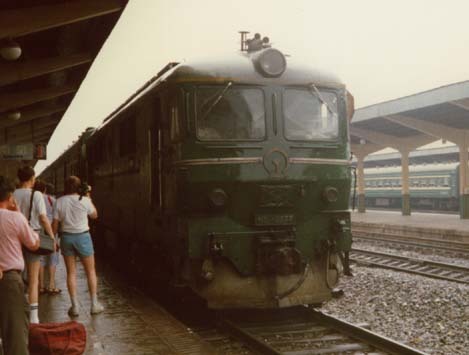 ND2 0077 in the rain at Nanjing, July 13th 1987. ND2 0172 at Shanghai, July 16th 1987. ND2 0201 in the rain at Kowloon, July 23rd 1987. 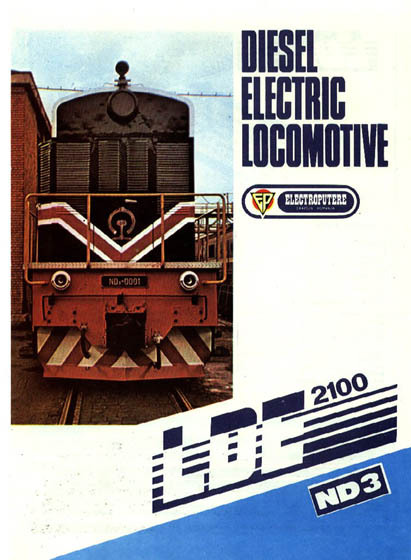 Detail on side of ND2 0207 at Shanghai 1987. Photographer unknown for the above views. Both views courtesy Robin Givens. 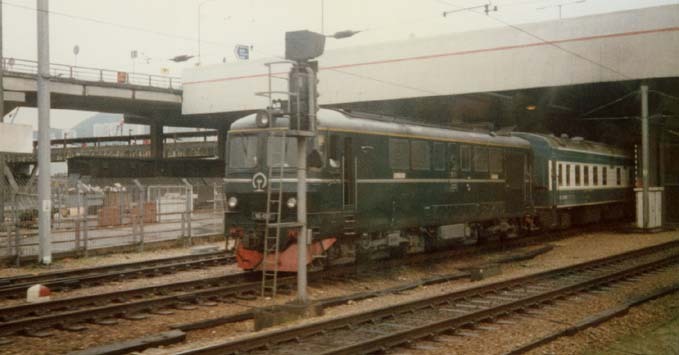 Two views of ND2's in service, to the left ND2 0038 and right is ND2 0039, both photographed in November 2002, with little time left before withdrawal. 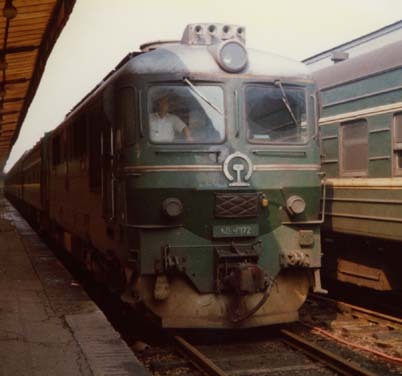 Its September 19th 2002 and ND2 0214 is seen at ChangSha. Two views courtesy 'Orpington'. Two more views of the ND3's, this time at ChangSha on September 27th 2003 featuring ND3 0077. Picture courtesy Phillip Cook from a posting on abpr. Doyen of the class ND3 0001 escaped the scrappers and found a place in China's national railway museum. Production List of the 060DA locomotives. Page added November 7th 2003. Last updated September 11th 2005.